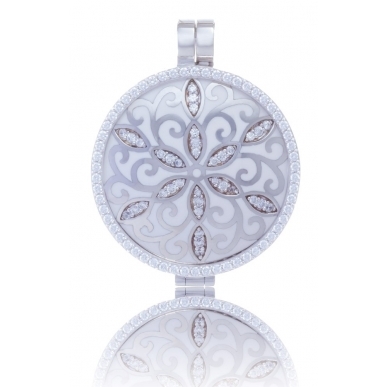 My iMenso. 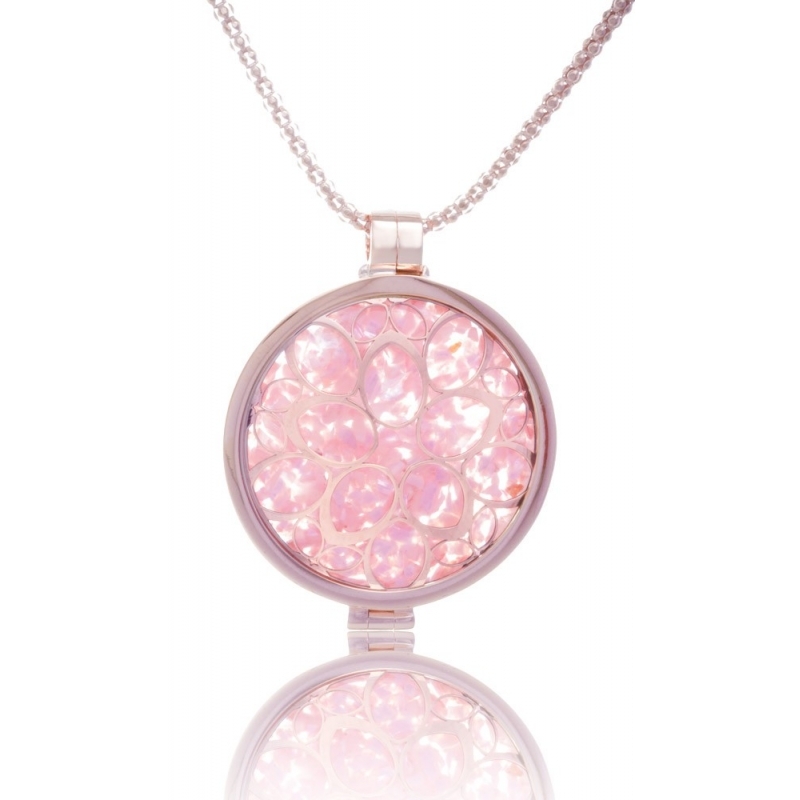 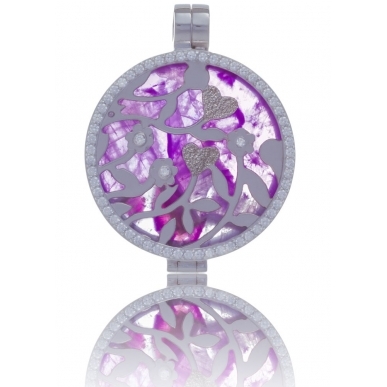 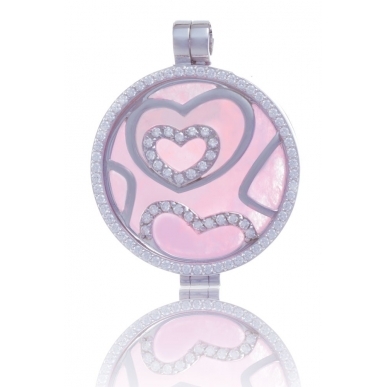 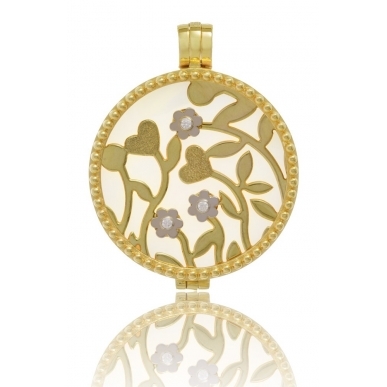 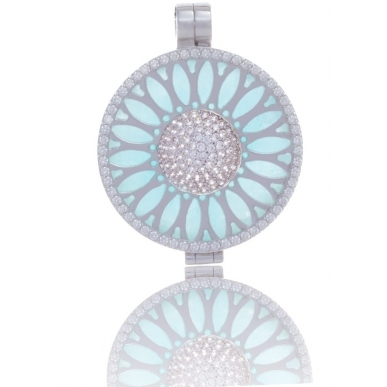 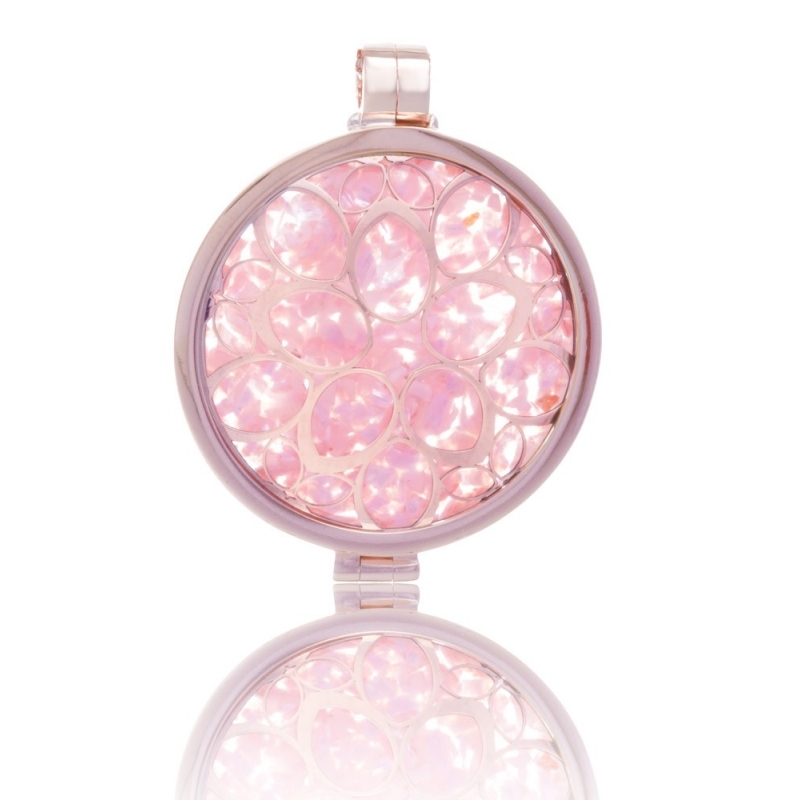 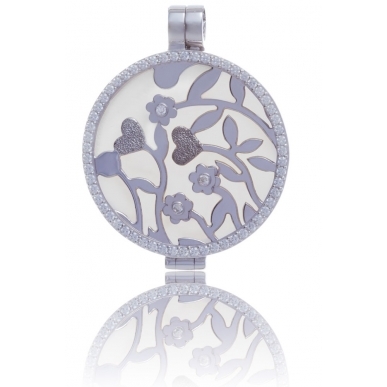 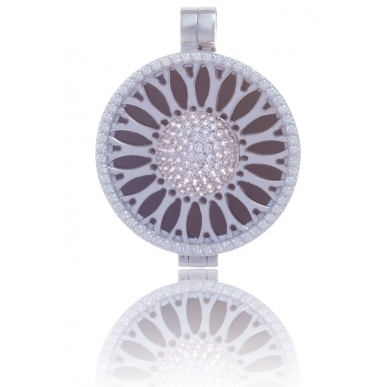 Reversible preassembled beaded medallion silver 925 pink gold plated Ø33mm. 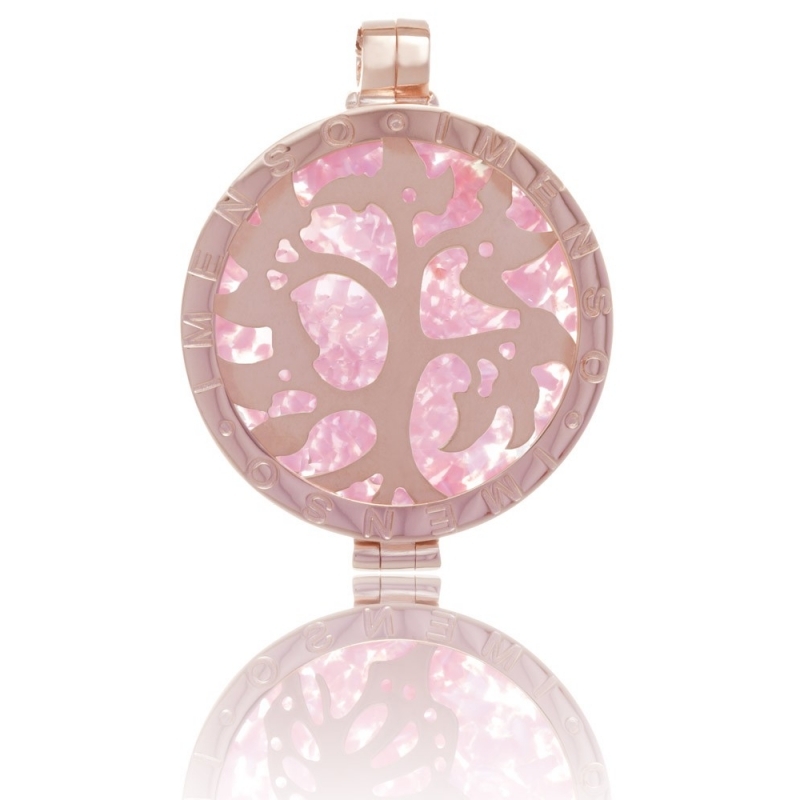 Front openworked mandala/pink domed water shell,back pink water shell/tree of life. 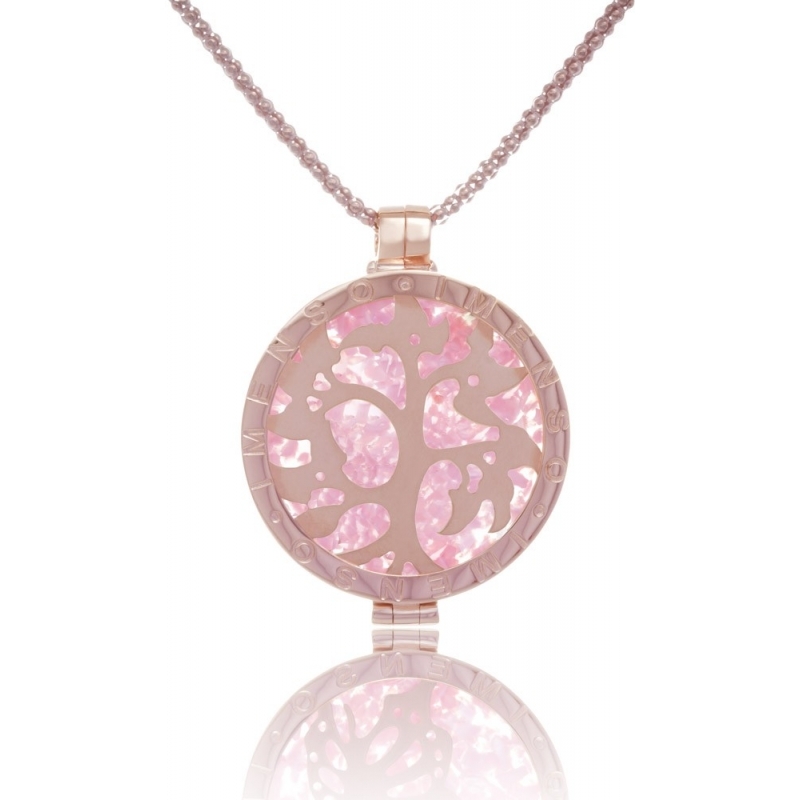 Components details: 1 Medallion in silver 925 pink gold plated, 2 silver elements pink gold plated mandala/tree of life and 1 pink domed water shell.